- Put hair into side ponytail. -Divide your hair into two sections above the elastic band then loop the ponytail through and pull it towards your neck, as in step 2 and 3. -Continue dividing and looping your hair all the way down the ponytail and tie off with an elastic after each section. Each section should be around 2 inches. 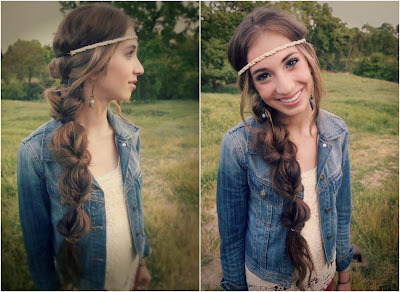 This tutorial was inspired by a messy boho photoshoot I styled a few months ago. Because of so many questions and comments, I decided to make a quick little step by step on how to achieve this look on yourself! 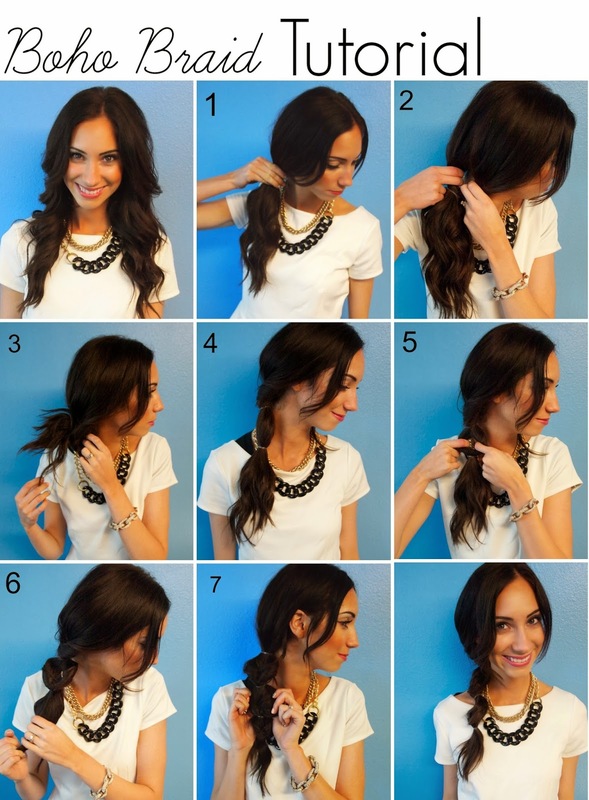 It's a unique alternative to a simple braid and side ponytail. We used a few clip-in extensions to give their bohos a longer thicker look! ooh i'm going to have to try this out, this is so gorgeous! pinned to my pinterest board. Gorgeous braid! Thanks for sharing! Love it! Such a romantic hair do!